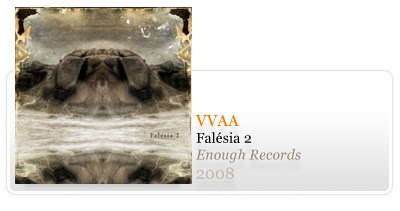 Some new releases are available for download: The second coming of Falésia, showcasing dark ambient and surrounding genres (drone, experimental electronics, doom/sludge, black ambient, industrial, spoken word) that is beeing produced in Portugal of 2008. 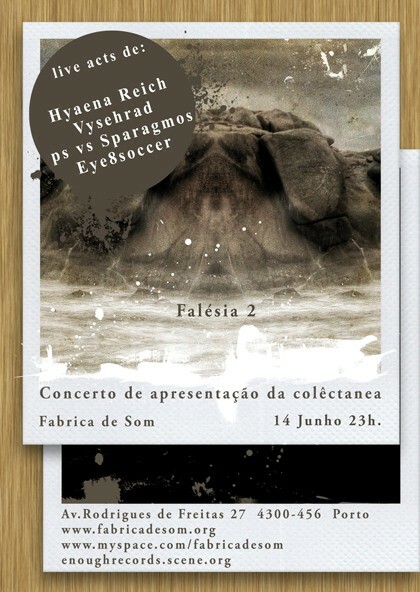 Contributions by a paranoid android, a naked lunch ,Aires Ferreira, Ambience, Avoidant, Boiar, Bosque, Cancro, EYE8SOCCER, Hyaena Reich, Katabatic, Minson, Most People Have Been Trained To Be Bored, Necrostilet, Profan, ps, Terra Oca, Thermidor, VortexSoundTech, Wolfskin and Z.O.T.E.. Artwork by Helder Costa. 6 track idm ep by Russian project Open Work Stocking. 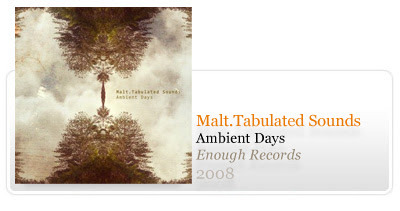 Ambient idm ep by Malt.Tabulated Sounds. Artwork by Helder Costa.